If you tried hiring a bookkeeper before, then you know it can be expensive. You probably even considered DIYing it, but you know you can’t handle another task. You started your business so that you can do what you love, not all those administrative tasks. That’s why you need a bookkeeping software. 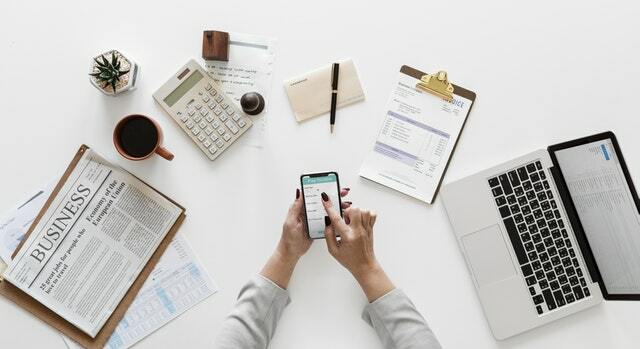 Bookkeeping software automatically tracks and categorizes your finances so you get a bite-sized view without the hassle of doing them yourself. Here are some of the best bookkeeping software options that help small businesses focus on what’s important. Bench helps entrepreneurs and small business owners through their cash-basis bookkeeping services. Founded in 2012, their software works on PC, Mac, and the iPhone app. You have the advantage of both software and dedicated bookkeepers working on your side with Bench. Bench bookkeepers are in-house employees, so you don’t have to worry about your information being outsourced to someone overseas. Each bookkeeper at Bench goes through a rigorous background and criminal check, so rest assured that only trusted individuals have access to your books. They care about your business, want you to succeed, and work together as your virtual bookkeeping team. Together, they work with an intuitive software to provide accurate, error-free books. For the first two months of your services, they’ll go over your books with you on the phone so you can better understand the process. These calls benefit both your team of bookkeepers and you because they get to better understand your business. Your bookkeepers reconcile your accounts to catch any errors they may find, categorizes your transactions so you can see where you’re spending most of your money, and produces your financial statements which include an accurate income statement and balance sheet. If you make one-off transactions that your bookkeeping team can’t categorize, they’ll send you a quick message to ensure that your books are as accurate as possible. Your income statement and balance sheet (profit and loss) let you visualize how much you spend, have, and owe. Bench connects with all major banks and leading paying platforms such as Square and Stripe. So, don’t worry about sending over your financial statements. Once you set it up, it’ll automatically sync every month. They understand that business gets tough so they won’t bother you every month for bank statements. You can expect your books to be completed 15 business days after all financial documents are received. Once completed, your team will send you a message letting you know when you can review them. So, no more guessing about the status of your books. If they see that your books aren’t adding up, they’ll make the necessary adjustments to ensure that they are tax-compliant. Additionally, if you’re behind on your books, no sweat. Bench helps you catch up on a year’s work in less than a month. You get a Year-End Financial Package that takes all your financial information and has it ready for you and your accountant for tax season. You’ll have access to your income statement balance sheet, trial balance, journal entry summary, and general ledger. Business taxes can be a tricky beast, which can make the process of choosing a tax provider overwhelming. Bench helps you tame it by connecting you with an expert that can help you file your taxes painlessly. If your CPA has any questions or needs to make a correction on your books, your bookkeeping team can work directly with them. It’ll save you the trouble of being the messenger. Also, everyone who needs to see your finances can log in to your account, making it easier for the job to get done. The best online bookkeeping services will have multiple contact options. You can contact your team whenever you like via the Bench app and expect a reply within one business day. Real-time messaging lets you talk to your team and answer any questions that may be bugging you. Bench services start at $135/month. But you can sign-up for a free trial to test it out. They understand that your business needs may change. If you ever need to transfer over to another software, you won’t be locked in with them. You can cancel at any time and take your books with you. There are four pricing options that are based on monthly expenses: Micro, Boutique, Venture, Corporate. Each plan lets you customize pricing for multiple businesses, catch up on your books, and scalable plans to ensure that your business is getting the most out of their services. Bench has your best interests in mind. While plans based on your monthly expenses may seem strange, it gives them a general understanding of how complex it’ll be to manage your books. Plus, it helps make their services more accessible to smaller businesses. Pilot offers cash-basis and accrual bookkeeping services to startups and tech companies. It combines the strengths of both human and software to make sure your books are accurate and error-free. They’re a bookkeeping service that integrates a bookkeeping software that lets their team of bookkeepers use the software while you focus on your business. The best online bookkeeping service will have dedicated bookkeepers. Pilot is one of them. You’ll be working with the same in-house bookkeeper each month, so they’ll understand the ins-and-outs of your business. Pilot integrates with the services you already use and automatically receives financial statements. You don’t have to worry about sending CSV files every month. They also do their bookkeeping with Quickbooks Online because most tax preps and other financial professionals know how to use the software. Your bookkeeper works on profit and loss, balance sheet, cash flow statements, payroll, and balance sheet reconciliation. By the 15th of each month, you will receive a detailed report of your books. Once you receive your reports, your bookkeeper will also ask you any questions about the previous month financial statements. When tax season comes, all your books will be in the Quickbooks Online software making it easy to use and access. Pilot also helps you during tax season by giving all the necessary information to a tax firm of your choice or recommending someone for you. Support is included in the price. When you need to contact support, you’ll talk to, the person who is actually doing your books. Your bookkeeper will normally respond to your query in one business day. Pilot services start at $195/month. One thing to note is that when your business grows, the amount you’ll have to pay each month will grow as well. They don’t try to make you stay with them, even if you subscribed to their annual plan. If you feel that you don’t need their services anymore, they’ll refund you for the remainder of the year. Since your books were done with Quickbooks Online you get immediate access to your books when you leave once you subscribe to Quickbooks. Plans are based on your monthly expenses. 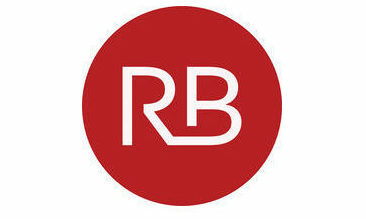 RemoteBooksOnline is a bookkeeping and accounting service for small business owners. Bookkeepers at RemoteBooksOnline are certified in Quickbooks and work alongside the accountant leads to ensure that your bookkeeping is perfected. RemoteBooksOnline offers bookkeeping and accounting services. Your bookkeeper will track your financial records, invoices, and review your books weekly. They’ll enter and prepare your payroll for tax season and update year-end inventory and capital assets. They’ll also reconcile all bank and credit card accounts, create monthly profit and loss and balance sheet statements, update monthly inventory, sales, and other reports. If you’re backed up on your books, then RemoteBooksOnline will have a year’s worth of books up-to-date in a week. Once your books are finished for the year, your lead accountant will go over them with you. If you’re happy with it and understand what’s going on, you’ll receive your Year End Financial Package for when you go file your taxes. Also, if your CPA has any questions about your books, then your lead accountant will talk to them directly. Your lead accountant will be the person you contact with their bookkeeping questions. You’ll be able to contact them by phone or message. But if they’re not available and your question is pressing, then you can contact the support team for same day assistance as well. You’ll hear from your lead accountant every quarter for a review meeting. During this meeting, you can discuss what’s going on in your business, financially. RemoteBooksOnline prices start at $95/month. Unlike the previous bookkeeping services, this one price by checking accounts. So, if you’re running one business checking account, you’ll pay the lower-tier plan. Most businesses, however, will fall into the intermediate plan which is between $130/month and $585/month. The best online bookkeeping service will be user-friendly and accessible. Bookkeeping doesn’t have to be an overwhelming task that leaves you frustrated. Our top choices here have plenty to offer aside from being innovative services. They can help you manage your finances without being overly complicated. Find the one that works for you and get started today. This entry was posted in Budgeting, Digital Wallets, Personal Finance, Saving Tips. Bookmark the permalink.